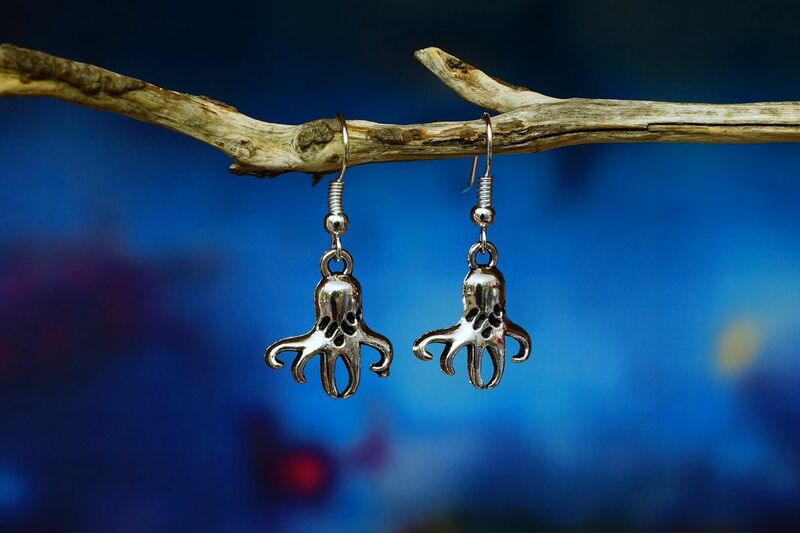 The Octopus charm is made from Tibetan silver, the hooks are sterling silver plated and made into earrings here in Australia. Octopus are considered to be very intelligent and have amazed researchers with their problem solving abilities. Octopus are able to hide in very small spaces, change their colour (camouflage) as well as imitate some other sea species as methods of defence. Perhaps the most well known octopus of the Australian shoreline is the Blue-ringed octopus. This is a very small octopus that is highly venomous and should never be handled. It flashes bright blue rings on its body when it is threatened. This little octopus is small, but packs a punch!